From IRA basics and benefits to your alternative investment options, let us teach you about self-direction and how it really works. A self-directed IRA is an individual retirement account that gives you complete control over your investment choices. Unlike other IRAs, you’re not limited to stocks, bonds, or mutual funds. This means you can take advantage of investing in alternative assets - such as real estate, LLCs, mortgage notes, precious metals, and tons of other alternative assets. I thought only stocks, bonds, CDs or mutual funds were the type of investments allowed in a retirement account? It’s a common misconception that the only investments allowed in a retirement account are stocks, bonds, CDs or mutual funds. In reality, more investment options have been available since 1975, when IRAs were introduced as part of the Employee Retirement Income Security Act of 1974. With the passage of the Small Business Jobs Protection Act of 1996, Congress allows certain precious metals to be held under an IRA. Benefits of a self-directed IRA include the tax-deferment of earnings on investments purchased by contributions to the accounts. Additional benefits include potential tax-deduction for contributions and potential tax-free distribution of earnings depending on the type of IRA. To receive the retirement tax benefits the account must be governed by a Trust document that contains the rules stated under the IRS. Investments must also be held by an approved institution for the IRA investor to avoid taxation, like Entrust. Why haven’t I ever heard of self-directed IRAs before? So a self-directed IRA allows me the freedom to choose what type of asset I want to invest in? Yes. It is up to the investor to locate, investigate and determine the investment that they choose to hold under their IRA. This platform allows for access to a broader range of investments available to the IRA holders and not be limited to the investments the financial institution offers. Some examples of popular investments chosen by IRA holders include real estate, mortgage notes, precious metals, private placements and other alternative investments. What types of investments are allowed in a self-directed IRA? What investments or assets are not allowed in a self-directed IRA? There are only three types of investments that are not permitted within a self-directed IRA: life insurance contracts, collectables (with some exceptions for coins and metals), and S corporations. The most popular accounts include Traditional IRAs and Roth IRAs. In addition to retirement plans, Entrust also administers self-directed Health Savings Accounts and Educational Savings Accounts. These plans help reduce costs for health and education expenses and provide a way to save on a tax-deferred basis. 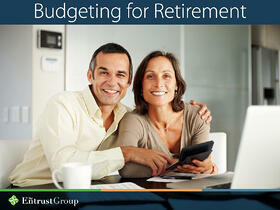 A Traditional IRA allows individuals to put aside tax-deferred money for retirement. Contributions may be used as a tax deduction if the individual is eligible. The earnings on the contributions grow tax-free but will be taxed upon distribution. A Roth IRA is an individual retirement account that is funded with post-tax dollars (no deduction). All earnings including interest, capital gains, and dividend income, grow tax-deferred. However, yearly eligibility requirements based on income must be met to determine the eligibility to contribute. Does Entrust provide retirement plans for small business owners and employers? Yes, our small business plans offerings include SEP and SIMPLE plans as well as the Individual 401(k) plans which are for employers who employ only owners and their spouses. What’s the difference between a SEP, SIMPLE and Individual 401(k)? A SEP IRA (or Simplified Employee Pension plan) is a profit sharing type of plan that allows for a contribution of up to 25% of each employee’s compensation. A SIMPLE IRA (or Savings Incentive Match Plan for Employees) is an employer retirement plan that has similar characteristics to a 401(k). The difference is the plan is not subject to the additional yearly mandatory compliance test that typical 401(k) plans are subject to as well as the maximum contributions are lower. Lastly, an Individual 401(k), is designed for employers who only employ owners and their spouses. Are investments insured under FDIC? How is Entrust regulated in accordance with the IRS? Only the cash investment an IRA holder transfers or rolls over to their account at Entrust is FDIC insured. The cash is placed in a non-interest bearing checking account as available cash to be directed to fund an investment the IRA holder chooses. Entrust does not offer any investments so Entrust also does not guarantee the investment chosen by the IRA holder. As a passive Custodian of IRAs, Entrust Trust Company a separate entity founded is regulated by the State of Tennessee where the Trust Company is chartered. To comply with the IRS reporting requirements, plan assets must be valued at fair market value, not cost. According to the IRS, the Fair Market Value (FMV) is value of a property or asset, based on what a knowledgeable, willing, and unpressured buyer would likely pay to a knowledgeable, willing, and unpressured seller in the market. Entrust being the custodian of the IRA requires different levels of asset valuation depending on what purpose the valuation is being used for. Is there a limitation on the number of IRAs, SEPs or SIMPLEs that I can open? There’s no limit on the number of IRAs an individual can open. Employer plans such as SEP, SIMPLE and 401(k) plan on the other hand, since it’s an employer plan, it is limited to one per employer. Eligible employees may establish as many IRAs as they wish. Some establish multiple IRAs for many reasons such as segregating assets into different IRAs, or naming different beneficiaries in multiple IRAs for estate planning. Can Entrust give me investment advice, or act as a financial advisor, even recommend the best investments? Entrust cannot and does not provide any of the above. Entrust can work with you and any tax, legal or investment advisor to answer any general questions about self-direction. Entrust does not affiliate itself with or make any recommendations to any person or entity associated with investments of any type, nor does it provide investment advice or endorse any products. It is always recommended to seek the assistance of a tax, investment or legal expert before entering into any transaction so that they can guide you through the information you need to know to make an informed decision. These professionals can help your source your investment, conduct proper due diligence and discuss risks and rewards. If you decide that self-directing is for you, The Entrust Group can help you get started. What types of services can I expect if I decide to open a self-directed IRA with The Entrust Group? Some of the main components of our services include providing the necessary documentation and performing the annual required government reporting for your IRA. Our team of professionals understands the self-direction process first-hand, and they are here to help be sounding board to answer all your IRA rules. To serve you in your area, Entrust has more office locations than any other self-directed IRA administrator. We help clients and professionals understand the broad spectrum of alternative investment options, including industry tips and strategies, as well as the benefits of self-directed investing. What are the fees for opening a self-directed IRA at Entrust? We are upfront about our fees and make them easy to understand. The four fee categories are establishment, administration, transaction, and termination. Click here to view Entrust’s fee schedule. Documentation will vary depending upon the asset being purchased. However, the documentation required will be the same as if you were purchasing the asset in your non-retirement account. The only thing to keep in mind is that it is your IRA that is making the investment and not you personally. You are merely directing the Custodian to invest in an investment on your behalf. How do I open a self-directed IRA account with The Entrust Group? Open a self-directed account. You can open an account by downloading a New Account Kit online, or by speaking with an Entrust representative. Visit www.TheEntrustGroup.com to find an office near you. Choose an investment. If you have an investment in mind, contact Entrust to get started with the necessary paperwork. If you’re looking for investment ideas, visit the Entrust Learning Center (located on our website) to explore your options.